« Previous: See Four Countries! …power and water goes out more than you’re probably used to. …there will be potholes on the road. …there will be power outages (though in recent semesters, the power’s been pretty good). …there will be waiting in long lines. …there will be ways of saying things you consider rude that the others may find just normal talk. …you’ll probably get homesick at times. …you’ll probably get culture shock at times. …you’ll probably be comparing everything on the island to what you’re used to back home. It’s ok. It’s natural to do so. …when you get off the island, you’ll probably miss the island, especially coming home to freezing temperatures during winter break. …you will initially feel ripped off with the inflated prices, but then you’ll get used to it and once you come back to the states, everything will seem cheap. …you are the one with the funny accent. …you may or may not carry stereotypes. Please don’t exacerbate them. …there are much poorer countries out there. …you’re here probably because you couldn’t get in anywhere else. No need to think you’re better than everyone else. …just because you went to an Ivy League school doesn’t mean you’ll do better than everyone else. …you may meet some classmates who you’ll be shocked are going to become doctors. Some of them may eventually drop out, or med school will shape them up. …you will be the new kid on campus… don’t think you can come and change how things run. …getting accepted into medical school is not the hardest part of the process of becoming a doctor. And frankly, I bet neither is Basic Sciences. …medical school’s no cake walk. 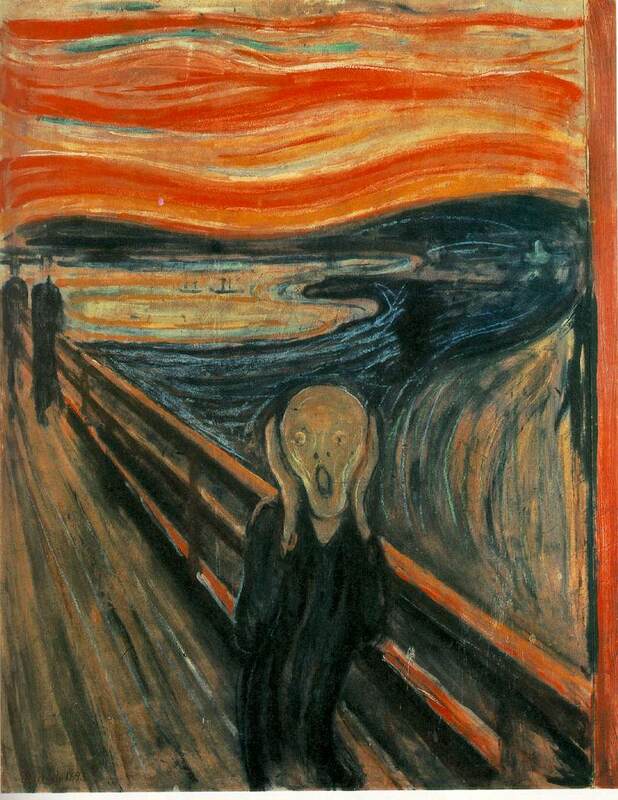 …you may (or may not) be looked down on by your US-graduated colleagues and residency interviewers. Show them good reasons why you should instead be looked up to. …most problems you’ll complain about is neither unique to the island or the school. …you’ll make lasting connections with some people here. Some other people you may never want to see again. …you’ll discover your weaknesses in med school. But you may also discover your strengths. …you may not agree with everything on this list. …your experience is what you make it. …you’re in the Caribbean with 365 days of summer and the beach just a step away… enjoy it! 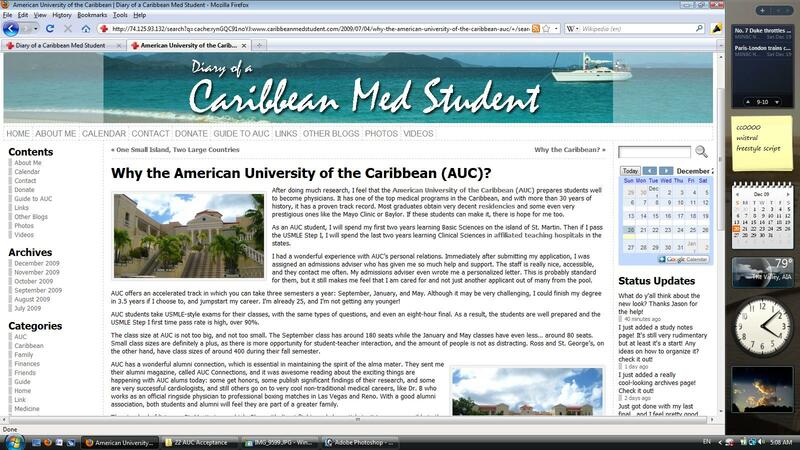 The Many Faces of Diary of a Caribbean Med Student Why the Caribbean? 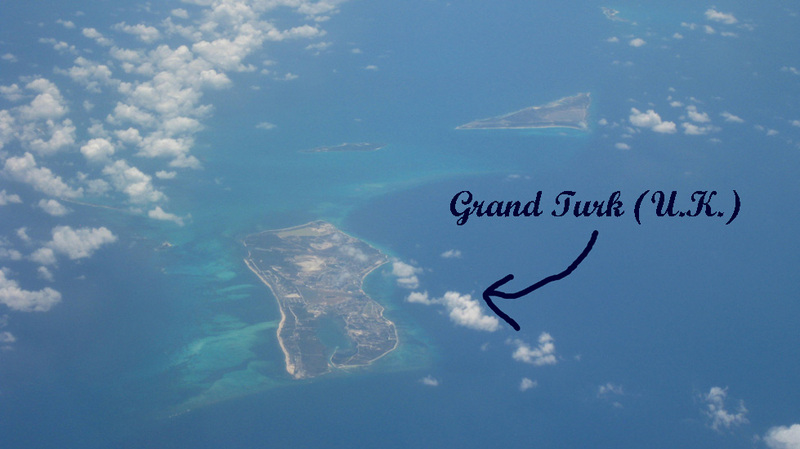 Flying Over The Caribbean Is Med School Really That Hard? Why am I a Caribbean Med Student? My Husband and I are moving to med school in August. I’m an elementary school teacher in California and I was wondering how to go about looking for a teaching job? Are there teaching opportunities on the island? I love working with kids and I’m looking for someting to fill my time while my husbands at school. Thank you. Congratulations on your husband’s acceptance to AUC! If you haven’t already, I’d recommend you definitely get in touch with the Spouse’s Organization. They may have information resources about jobs that current and previous spouses have held during their stay in St. Maarten. I know that there has been spouses who have taught kids in a variety of subjects at the CIA (Caribbean International Academy), which is a K-12 school within walking distance of AUC. There may also be opportunities to work with the kids at the local orphange called ICAN. Best of luck! I start AUC this September and I’m worried about not making friends and being alone and miserable. Dorms are full so I have no choice but to get a one bedroom apartment, which isn’t very ideal, given the fact that I’ve never lived on my own. Are people generally friendly or are they snobby? I really don’t know what to expect going into this. Don’t worry. I’m sure there are a lot of people in your same shoes who first come to AUC who can relate to you. Most students live off-campus, in one of the apartments near campus. And so whichever apartment you get around campus, you’ll be neighbors with students. They are practically like off-campus dorms. Sooner or later, you will need to learn to live on your own, especially now that you are about to embark on a career path where you will learn to become a leader of a medical team and stand up to your decisions as a doctor for your patient. The ideal time to learn this is now. No matter where you go in life, there will be people of all sorts, and whether or not they are snobby or friendly depends on how you are, how you interact with others, and how you see other people. Some people will always see others as snobby, while some people will always give people benefit of the doubt and see them as friendly. No one is 100% one way or the other all the time. I’m sure some people may consider me friendly while others may not, no matter how much I try to be friendly to them. I’m sure I may not come off as friendly when I’m in a bad mood. Just be friendly to others and most other people will reciprocate. What an incredble blog! How did you create this thing AND become a doctor at the same time?! ?